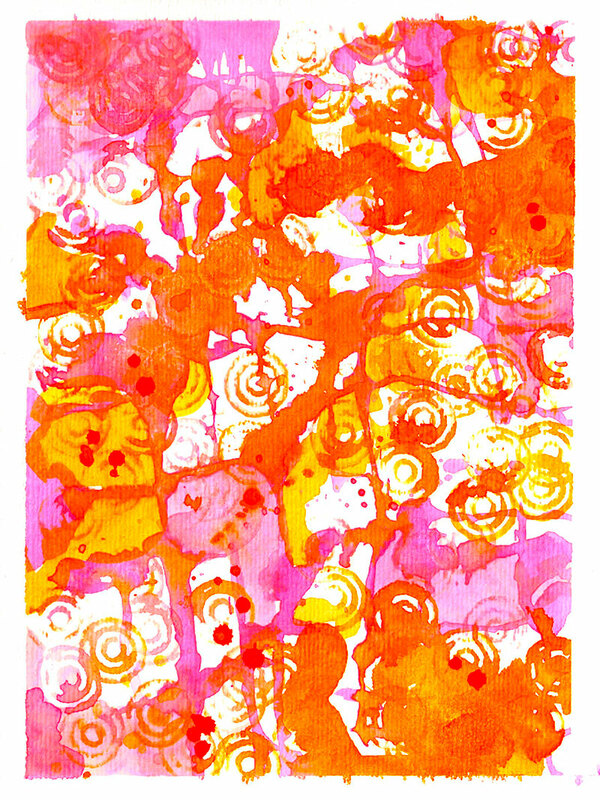 For week 2 at Summer of Color, the colors are Orange and Hot Pink. I started with this background. And added a cool, summer beverage!! Today’s icad uses the Orange and Hot Pink, too. Oh, yes! 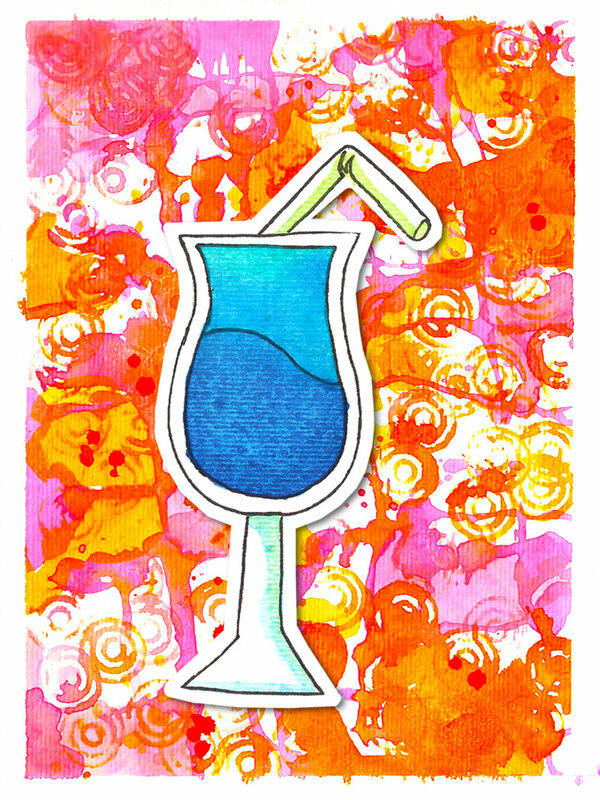 That cool, blue drink looks like just the thing to be sipping during the hot days of summer! And, I love that cute kitty face, too! 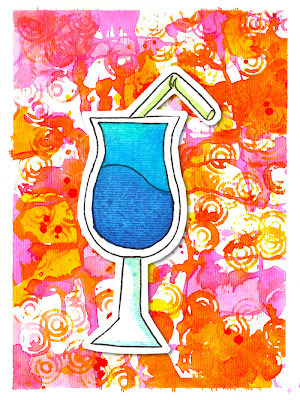 I love the background that you created, and the blue drink really sings against it. Love the two pieces the cool drink goes well with the colours. 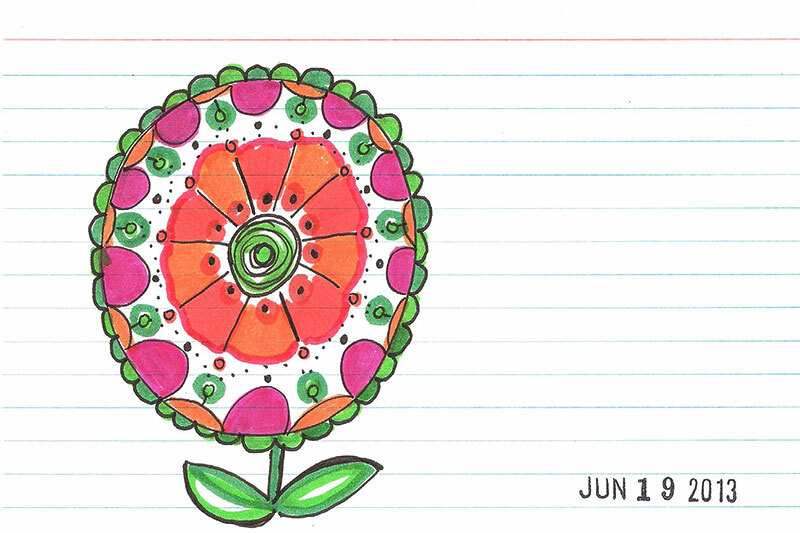 Your ICAD flower is beautiful and reminds me of a mandala! And I absolutely love your first piece! The drink against the gorgeous background is so much fun!!!!! Amazing background! Your icad is great haven't heard of an icad before so i have discovered something new today! You have a great style and I love this vibrant soc!